Professional Tree Care for the Kawartha Region. Our services include Hazardous Tree Removal, Tree Preservation, Stump Grinding, Brush Chipping, Pruning, Hedge Trimming, Planting, Cabling & Bracing, Site Clearing & 24 hour Emergency Service. We also provide services to specialized lots such as island properties and we provide free estimates! Our service areas include: Peterborough & Surrounding Areas (Lakefield, Selwyn, Cavan, Burleigh Falls, Apsley, Warsaw, Douro) City of Kawartha Lakes (Lindsay, Bobcaygeon, Buckhorn, Omemee, Bridgenorth, Ennismore) Coboconk, Catchacoma, Keene, Bewdley, Bethany and many more. The Lanouette brothers passion for trees along with the outdoors started when they were just small boys. They both graduated from Sir Sandford Fleming College in the arboriculture program, forestry technician program and the heavy equipment operator program. They then began their family business and took their incredible amount of knowledge and safety awareness into the field. Thank you for the wonderful job you and your crew did cutting down the birch tree at our cottage. The wood was cut into fire size pieces and neatly stacked. All branches were removed and the wood chips were cleaned up. Everyone was courteous and professional. It was a pleasure doing business with you. I would highly recommend your company to anyone seeking tree removal. Treeworks stands behind their work, they have an exceptional work ethic and dedication to a job well done. 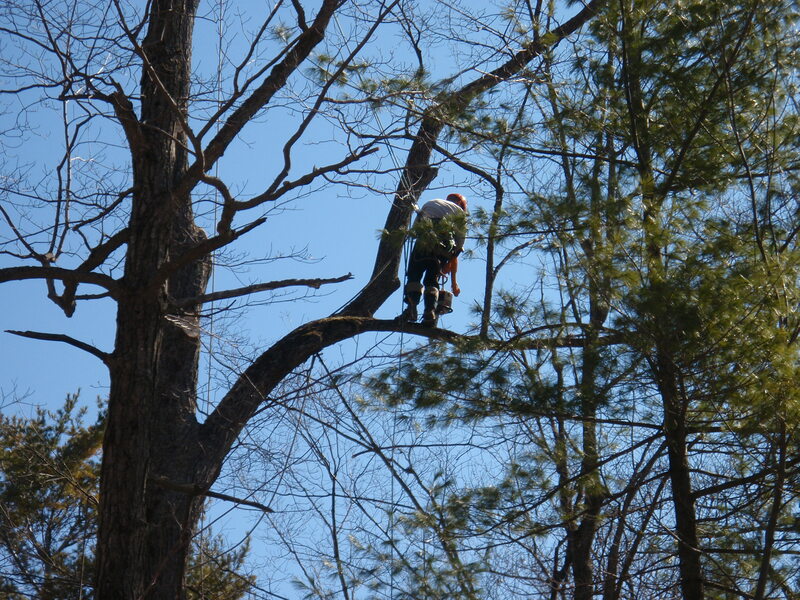 They are fully certified arborists and are a fully insured and registered company providing impeccable service to the Peterborough, Kawartha Lakes cottage country and the surrounding area. They are even equipped to service specialized lots such as island properties.